Hand Cast Hand Painted Vase. 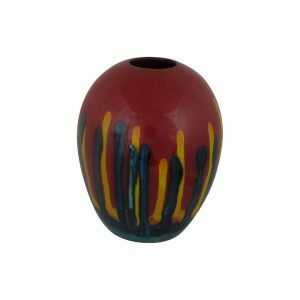 Red Mirage design is totally exclusive to Stoke Art Pottery. 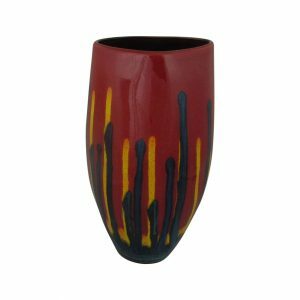 This Red Mirage Cone Vase Anita Harris Art Pottery. Hand Cast and Hand Painted in Stoke on Trent. 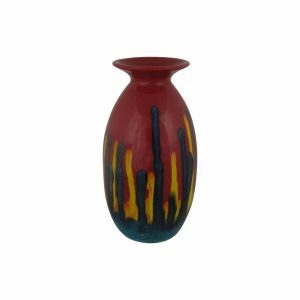 The design Red Mirage is exclusive to Stoke Art Pottery. Due to the hand painting process. Slight colour variations. Different brush strokes. No two vases are exactly the same. Making each vase different and unique. Personally signed on the base in gold. By the Ceramic Artist Anita Harris. Anita Harris Art Pottery hand painted vases. Make an excellent gift ideas for a Christmas Presents or a Birthday Gift. As well as a great gift idea for a wedding present. Or for a wedding anniversary. And we must not forget mother’s day. 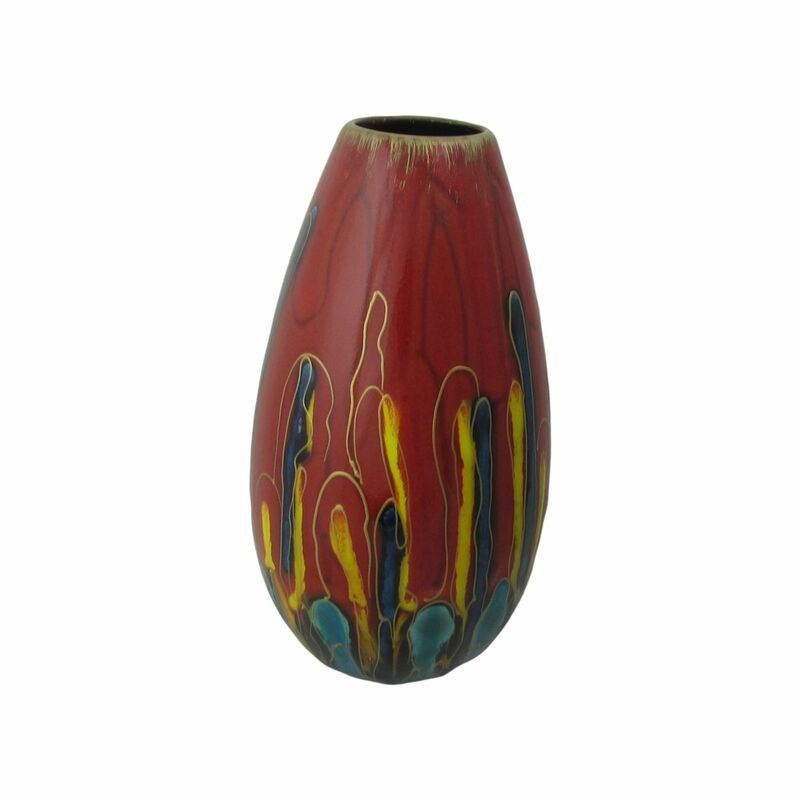 Our on-line price for the Red Cone Vase by Anita Harris is £74.95. Expediated Delivery at a small additional charge.